1. To enhance a moisturizer. Monounsaturated oils may readily penetrate into the hair strand . Additionally, oils with a slight polarity tend to have an affinity for the cortex . Because avocado oil has these two characteristics, it may easily penetrate into the cortex of the hair strand, which few oils can do. Thus, it has the potential to enhance your current moisturizer. Try mixing the oil with your store-bought product or into your homemade whipped butter. 2. As a carrier oil. Avocado oil penetrates the skin fairly easily when compared to some oils, such as olive or almond . It is also moderately low on the comedogenic scale (i.e., not as clogging as some other oils such as coconut). Because of these qualities, it can make a great carrier oil for your essential oils. 3. To massage your edges. For those who are in need of a good massage oil for your edges, I would highly recommend avocado. (Jojoba oil is ideal but it is relatively expensive. Avocado oil is a great substitute.) It penetrates the skin without leaving a greasy film and is not as comedogenic (or clogging) as coconut oil, for example. That could mean less forehead acne! 4. To add slip to a deep conditioner. Not all deep conditioners have a natural slip and this can be annoying for some naturals. Try adding avocado oil, which has just the right consistency to create the lubrication you need. Additionally, since avocado oil might readily penetrate into the hair shaft, you may have an added bonus of increased elasticity! 5. For an enhanced pre-poo treatment. For the same reasons as stated in #1 and #4, you may want to try incorporating avocado oil into your pre-poo treatment. Mix it with your favorite conditioner or with other oils, like coconut, which has been shown to protect the hair from damage due to swelling and de-swelling during the washing process . 6. For finger detangling. Many oils generally make great natural detanglers. Avocado oil in particular, can lubricate and create slip without a super greasy feel. This not only means less damage while detangling but also less of a greasy mess! Use it alone or mix it with other oils, if you like. 7. As the ‘O’ component of your L.O.C. method. The ‘O’ (or oil) component of the L.O.C. method consists of using an oil that will later be sealed by a cream (the ‘C’ component). It is ideal to use an oil that can penetrate into the cortex rather than just sit on the cuticle layer. Avocado oil may be what you need! 9. On your ends before undo-ing twists or braids. 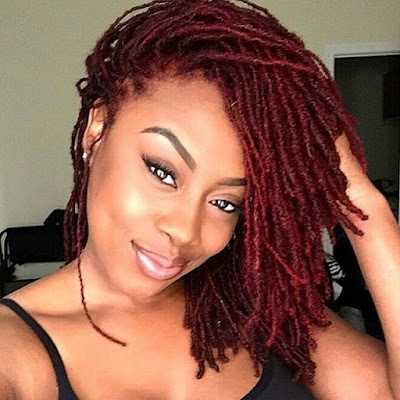 Prior to undo-ing your twists or braids, it helps to apply an oil to the ends of your hair in order to ease the process and minimize breakage. 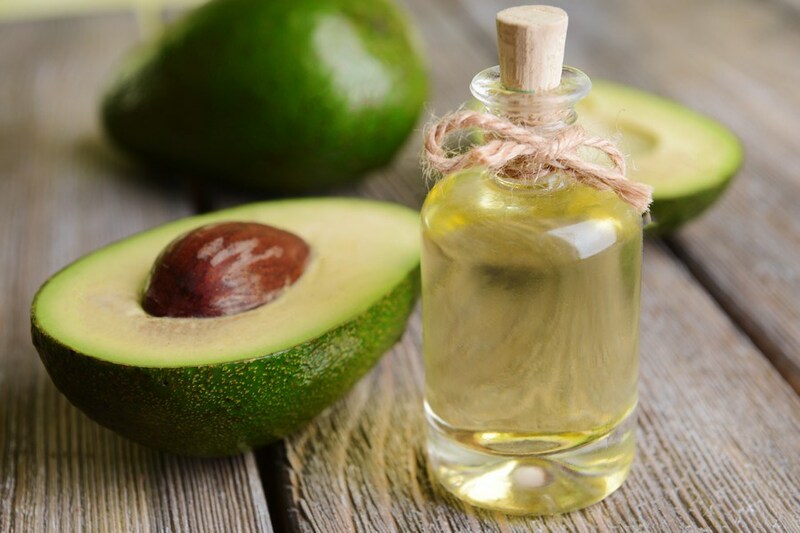 Avocado oil is great because it is non-greasy and has a faint (rather than strong) scent. It provides the lubrication you need without impacting your hairstyle. 10. To enhance a “cheapy” conditioner. Do you have a cheap conditioner that could use a little more slip and moisture? Avocado oil may be the answer. 11. To refresh a style. There are two great benefits to using avocado oil for refreshing a style: 1) it will not harden the style (like coconut oil can do on a cold day for some naturals) and 2) it can provide a bit of shine without weighing down the hair (like castor oil does for some naturals). A little oil also goes a long way. Ruetsch, S. B., Kamath, Y. K., Rele, A., Mohile, R. B. (2011), Secondary Ion mass spectrometric investigation of penetration of coconut and mineral oil into human hair: Relevance to hair damage. International Journal of Cosmetic Science, 52: 169-184. Hornby, S. B., Appa, Y., Ruetsch, S. and Kamath, Y. (2005), Mapping penetration of cosmetic compounds into hair fibers using time-of-flight secondary ion mass spectrometry (TOF-SIMS). International Journal of Cosmetic Science, 27: 299. Valette, G., Francois, M. T., Sobrin, E. (1963), Absorption percutanee de diverses huiles animals ou vegetales. (English trans. : Percutaneous absorption of various animal or plant oils.) Pharmaceutica Acta Helvetiae, 38:710-6. Originally written by me for BGLH!